'Clue' (Vernon Wood, R. 1995). Seedling 93-8. SDB, 9-10" (23-25 cm), Early midseason bloom. 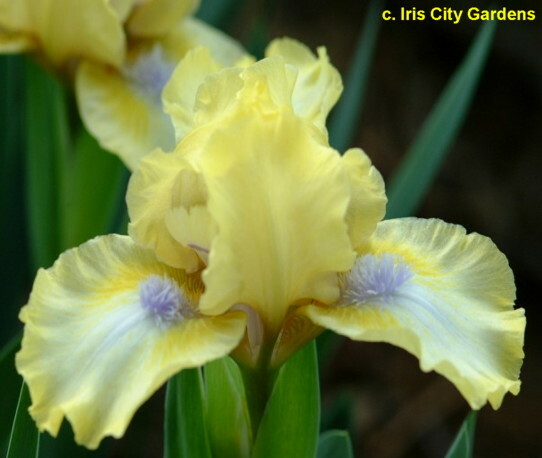 Ruffled yellow (RHS 6C) self, Falls slightly lighter in center; beards lavender (92B). 'Wake Up' X 'Serenity Prayer'. Stockton 1995.